Each Fall, the snow goose makes its way from Siberia down to California’s Sacramento valley, and we were often lucky enough to shoot a few. Unlike other geese, the snow goose is a very lean bird, with very little fat around the breast and legs, hence not a very good candidate for roasting. Furthermore, the feathers are extremely difficult to pluck, an additional hindrance to anyone wanting to roast the goose in conventional style. 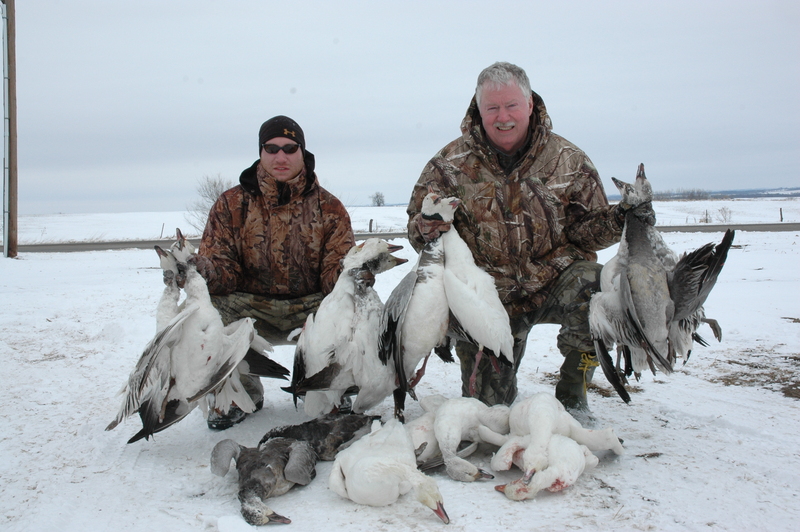 We typically skinned the goose, and then separated the breast and upper legs from the bone. To cook this very lean and dry meat, we had to add a sauce. For many years, we used a dry red wine for snow goose stew, but then, quite by accident, we discovered that a heavy port wine made an even better sauce. This may be the tastiest of all the wild game dishes that we prepare. Cut goose meat into cubes, and dry thoroughly. Dredge goose meat in flour, and add to large skillet in sizzling hot olive oil. Brown quickly on all sides, then reduce flame and cook for about 5 minutes more. Remove goose meat with slotted spoon, and set aside. Add onions, carrots, potatoes, and garlic. Cook over medium flame until onion skins are translucent. Mix port and dry red wine, then begin adding wine, a little bit at a time, de-glazing the skillet as you go. Add mushrooms, spices, and salt and pepper. When the wine has cooked down by about about 1/2, add the goose meat back to the pot, reduce to low flame, cover, and cook for about 30 minutes. Occasionally, give the skillet a vigorous shake to ensure that the meat is well-coated. When meat is done, remove all ingredients to deep sided serving platter. Add flour and water mixture to pan, durn up heat, and mix vigourously until a thick, deep brown gravy emerges. Pour over goose on serving platter. Note: We sometimes chopped the meat and vegetables a little more finely, and served the goose stew over slices of toasted French bread, as an appetizer. Don’t allow guests to eat too much, as they could easily become too full for the main course!